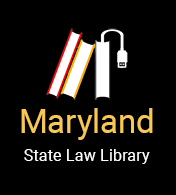 The Judicare program can provide you with a free attorney to represent you in a contested custody case in Baltimore County. The attorney will represent you throughout the case. Attorneys who participate in Judicare are paid a significantly reduced fee by the Women’s Law Center. Participation in Judicare is limited to low income individuals. You will be asked to provide proof of your income and will go through a screening process before your case is placed with an attorney. A limited number of program slots are available. Judicare services are available to men and women.